Once upon a time, a rishi (sage) named ‘Chunak’, according to the way of worship mentioned in Vedas and Gita Ji’s Adhyay 2 Shlok 55 to 68, by controlling his mind and senses kept doing sadhna for thousands of years. At that time, he was considered to be a great yogi; very soft-spoken, equipoised in joys and sorrows, and used to wear only one loincloth and lived in a hut. He used to remain contented in whatever he got. He was considered to be a great man, fully equipped with supernatural powers. There was a Maandhaata Chakvae (Chakravarti) king. (One is called a Chakravarti king if one has dominion over the whole Earth.) It occurred to Maandhaata that let’s find out if anyone has become rebellious toward me. For this, the king released a horse and hung a wooden board around its neck which read that this horse belongs to King Maandhaata Chakvae (Chakravarti). Whichever king does not accept the subjugation of Great king Maandhaata, he may capture this horse and tie it; he will have to fight with the king. Alongside hundreds of soldiers riding on their horses also accompanied that horse. The horse was returning after going around the whole earth and nobody had dared to capture it because King Maandhaata had an army of 72 crore (kshouhini) soldiers. When those soldiers and that horse went past the Supreme Sage Chunak, then rishi (the sage) asked the soldiers, “Who are you? From where have you come and where are you going? What is this unoccupied horse for? Why is there no rider on it? Please tell me.” On this the arrogant soldiers of that arrogant king said, “It has nothing to do with you.” Then rishi ji said, “One does ask passersby. Tell me, what is the matter?” The soldiers said, “This is King Maandhaata Chakravarti’s (Chakvae) horse. 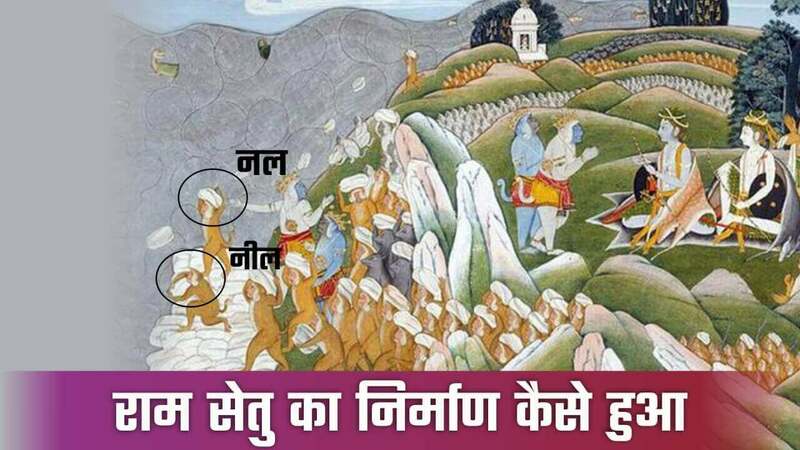 Whoever will capture it will have to fight with the king.” Rishi Ji asked, “Did no one capture it?” Some of the soldiers said that no one on the whole earth could dare to capture it. Other soldiers added that how will one capture it? The king has an army of 72 crore soldiers. Chunak rishi said that if nobody has captured it, then I will. On hearing this, the soldiers tied that horse to the same tree under which the rishi’s hut was situated and said, “Oh Pauper! You don’t even have a grain of food to eat and will fight with King Maandhaata Chakvae? Why are you inviting trouble?” Rishi said, “This is my destiny. Go and tell your king that the rishi is ready to fight.” When the soldiers informed the king that a rishi named Chunak has captured your horse and is ready to fight, the king sent an army of 18 crore soldiers to kill one man. He divided his army into four troops, each consisting of 18 crore soldiers. On the other hand, Chunak Rishi prepared four missiles by his supernatural powers obtained as a result of Brahm (Kaal) worship. Rishi released one missile on king’s army which destroyed the army of 18 crore soldiers. Likewise, the four missiles destroyed the army of 72 crore (kshouhini) soldiers. 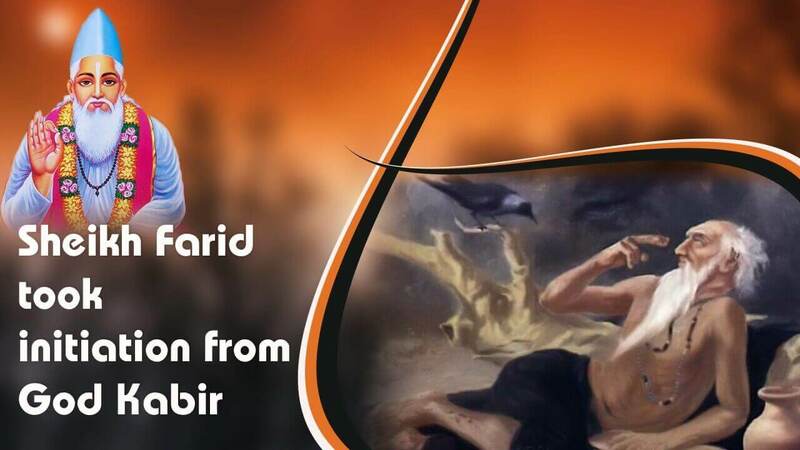 Except the worship of Purna Brahm, by doing worship of ParBrahm, Brahm, Shri Brahma Ji, Shri Vishnu Ji, Shri Shiv Ji and other gods and goddesses, one gets the result of whatever action one has done; results of good deeds – in heaven and results of sins – in hell and also have to suffer in the bodies of 84 lakh life-forms. 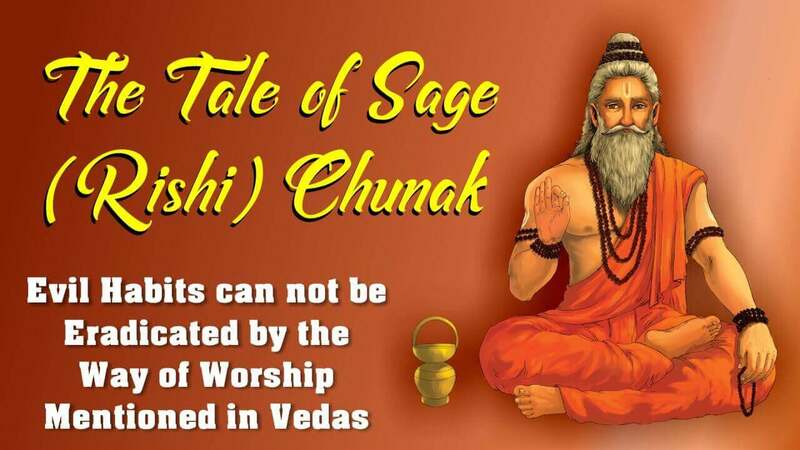 Maharishi Chunak Ji was a worshipper of Brahm (Kaal), and he worshipped according to the way of worship mentioned in the Vedas. Because of which after enjoying the fruits of good deeds in Mahaswarg (great heaven, which is built in Brahmlok), and experiencing the results of sins in hell and then will have to suffer in the body of an animal. When this Chunak rishi will become a dog etc, he will have wounds in his head, infested with worms. All the soldiers he had killed by his word-like arrow will take their revenge. For this reason only, the narrator of Holy Gita Ji, Brahm (Kaal), himself says in Adhyay 7 Shlok 18 that these knowledgeable souls who have learnt from Vedas that complete salvation will be attained by devotion to only one God, because of not finding a Tatvdarshi saint, based on their self-inferred conclusion believed that recitation of ‘Om’ mantra along with the five yagyas is the only way to worship Purna Brahm. But this way of worship is only upto Brahm (Kaal). Only a Tatvdarshi saint will tell the way of worshipping Purna Brahm (Param Akshar Brahm) (In Gita Adhyay 4 Shlok 34 and Yajurved Adhyay 40 Mantra 10 and 13). Therefore, those noble souls remained dependent on my (Brahm-Kaal is saying) very bad (anuttamam) salvation (gati). Important: - Now the readers may themselves contemplate that what did such a rishi, who appeared to be a great worshipper, achieve? Because in Vedas and Gita Ji the knowledge available is excellent that only a devotee who becomes free from lust, anger, attachment, greed, arrogance, love and hatred is completely liberated. But the way of worship is only for attaining Kaal (Brahm). Because of which one can not become free from defects. One can become worthy of attaining that God (the Supreme God) by jaap of ‘Satnaam’ mantra. It is not available in any of the Holy Scriptures. 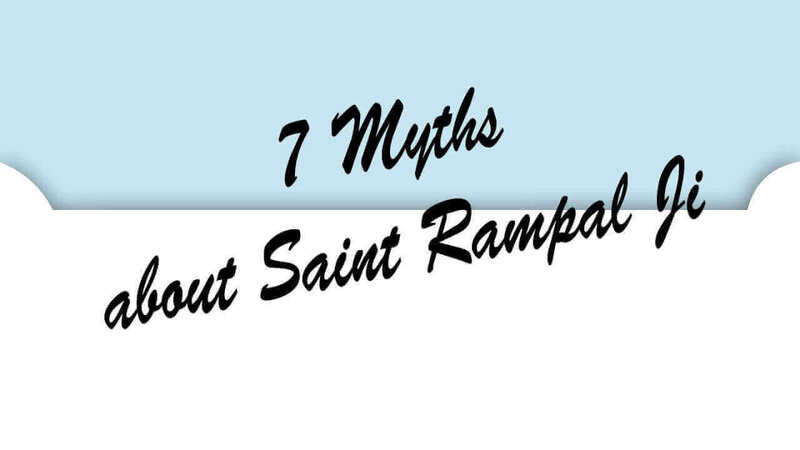 Only God Kabir’s complete saint can tell that mantra. And it is beneficial only if one takes ‘naam’ from that saint who has the authority to give updesh. Then after doing bhakti and staying in Guruji’s maryada (boundation) throughout life may obtain ‘Saarnaam’ from Guruji. Then the devotee can go to Satlok and can give up evil habits. Like, in Gita Ji’s Adhyay 14 Shlok 2, it is said that one who does my bhakti according to the method mentioned in Vedas and Gita, he remains engrossed in my nature / inspired by my character and acquires my qualities i.e. becomes another form of me, Kaal; e.g. Chunak rishi. When that worshipper is reborn as a human being, then he remains overwhelmed by the same nature i.e. he does not worship other gods. Then also he only worships me in accordance with the Vedas. Even this, he engages in my worship after many births; this is also indicated in Gita Adhyay 7 Shlok 19 that after many births and rebirths, a learned soul, who was previously engrossed in my nature, does my sadhna, and the one who tells that only the Supreme God is Vasudev i.e. is Omnipresent, the Preserver of all and He only is worthy of being worshipped, that Mahatma is very rare. It is written in Adhyay 2 Shlok 69 to 72 that two types of persons remain awake at night. One, a lover of sensual pleasures [overpowered by lust, and a thief or one who wants to collect a lot of money], engrossed in evil habits remains awake. For him, that night is like a day only. The second type of person who remains awake is a lover of God. He made full use of that night. Like, all the rivers automatically fall into a sea; similarly, the two types of persons automatically go to hell and heaven on the basis of their bad and good deeds. One who has become aware of the (Parmatam tattav) truth about God, he, free from sensual enjoyments, remains balanced in joys-sorrows and gain-loss. Like, the rivers even after falling into the sea do not disturb the sea. That person, free from all desires, free from affection and pride, only attains peace. A worshipper, who becoming free from the evil habits of sensual enjoyments, represses senses by overcoming mind, and putting an end to lust, anger, passion, greed, pride does not become unsteady even at the time of death, only that person can achieve Nirvan Brahm (Purna Parmatma, Purna Brahm). Otherwise, because of being incompetent can not attain Purna Parmatma. Gist: This competency is neither in Vishnu, nor in Brahm, nor in Shiv. Therefore, the attainment of God is impossible. 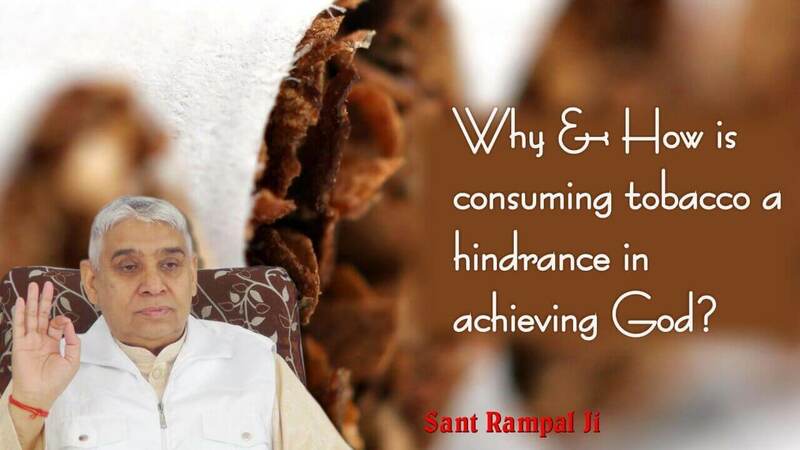 Why & How is consuming tobacco a hindrance in achieving God?